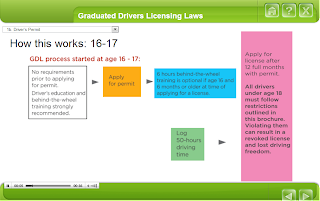 As a part of National Teen Driver Safety Week, the CTDA launched a new online parent course that provides step-by-step instruction on how parents can support their teens through Colorado’s Graduated Driver Licensing (GDL) laws, which are designed to phase-in beginning drivers. This course was prompted by a recent Colorado Department for Health and the Environment survey of over 700 parents of teens throughout Colorado that showed only 6.4 percent of parents could accurately identify each component of graduated driver licensing laws, including curfews, passenger restrictions and seat belt requirements. Teaching teens to drive can be a daunting process, but the best way to put parents at ease is to give them the educational tools they need to understand the process of getting a license and the specific restrictions for teen drivers. This Teen Driver Safety Week, share this valuable course with your networks to reach the parents or guardians of teens. Send parents to www.COTeenDriver.com to learn more about Colorado’s graduated driving licensing laws and to access the online parent course.